A nutrition system that fits your lifestyle! Toxic substances are stored all over our bodies. In our colon, skin, blood stream, fat cells, organs. Toxins are capable of remaining in the body for years. The average person ingests a gallon of pesticides in just one year! It is important to regularly cleanse our body and the filtration organs. For centuries the Chinese and other cultures have used cleansing as a medicine. Detoxification cleanse the body allowing it to rest, removing toxins and replenishing it with nutrients. A detoxed body is less prone to sickness and fatigue, it will be restored to health. How do you know if you need to detox? Simple theses are some symptoms that may include digestive issues or tiring easily. Allergies, mild infections, miscellaneous aches and pains and skin problems are also signs that you may need to detox. Chemical exposures can have a cumulative effect and they can continue to build up to over the years. In today’s world with over farming and depletion of nutrients in our soils. Try as we might it is hard to make sure that we eat balanced nutritious meals. Most of us can benefit greatly by adding supplements to our daily regime. Proper nutrition results in feeling better both physically mentally, increased energy, and better concentration and focus. Checkout these systems to jump start your transformation! 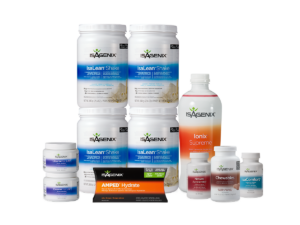 This Web site is owned and operated by an Isagenix Independent Associate and is not endorsed by Isagenix International, LLC. 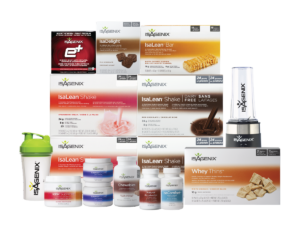 Any opinions expressed on this Web site are made by and the responsibility of the individual Associate and should not be construed as a representation of the opinions of Isagenix International, LLC.